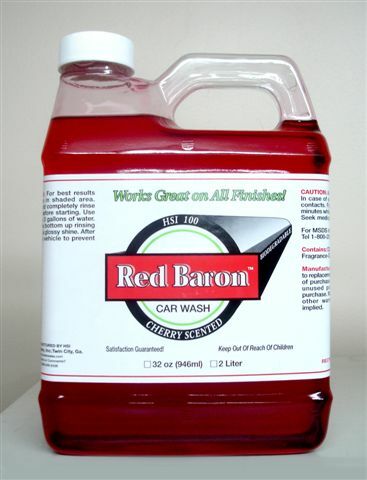 Red Baron - Hunter's Sales, Inc.
Red Baron Car Wash works great on all finishes and is cherry scented! Can be used as a hand or automatic wash cleaner. One to two capfuls per three gallons of water is all you need!